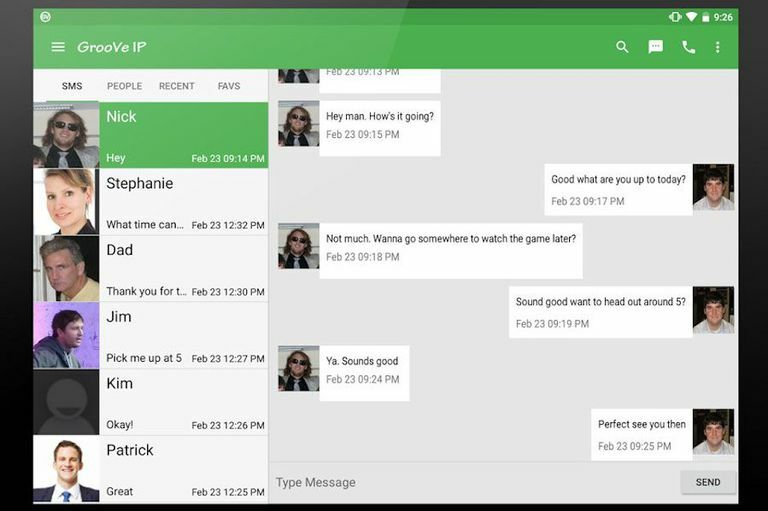 GrooVe IP is an Android app that turns your Android smartphone or tablet into a communication set that you can use to make free local calls within the U.S. and Canada. While this setup requires some other important elements, GrooVe IP is the glue that holds it all together. A smartphone or tablet that runs Android 2.1 or later. A 3G/4G data plan or Wi-Fi connectivity: You must have the wireless protocol support on your device first, and then you need to have a network available. You can use a mobile data plan (3G or 4G), but then your calls won't actually be free. A home Wi-Fi network is ideal. A Gmail account: It's easy to obtain, and it's the best free email service around. If you don’t have a Gmail account yet (and if you're using an Android, you absolutely should), go to gmail.com and register for a new email account. This gives you access to the softphone interface that you'll use for calls. It's not present in your mailbox by default; you have to download and enable this simple, lightweight software. A Google Voice account: You'll use this only to receive calls on your phone. Google Voice service is not available outside the U.S. The setup described here will benefit you even if you are outside the U.S., but you need to create the Google Voice account from within the U.S. The GrooVe IP app: You can download it from the Android market and install it directly on your device. GrooVe IP adds the VoIP (Voice Over Internet Protocol) component to the setup. Google Voice allows you to ring multiple phones through one phone number that it provides. Gmail calling allows free calls but not on mobile devices. GrooVe IP brings these two assets into one feature and allows you to use your free Wi-Fi connection to make and receive calls on your Android device. In this way, you can make unlimited calls to any numbers in the U.S. and Canada and receive calls from anyone in the world, all without using your mobile phone plan's voice minutes. This will not prevent you from using your phone as you normally do. Register for a Gmail account. Register for a Google Voice account and obtain your phone number. Purchase, download, and install GrooVe IP from Google Play (the Android market). Configure GrooVe IP. The interface is quite intuitive and user-friendly, like most Android-based interfaces. Provide your Gmail and Google Voice information. Configure your phone in your Google Voice account to receive phone calls. Calls you make in this way are free only to numbers within the U.S. and Canada. GrooVe IP needs to be running permanently on your device if you want to use it to receive calls. This will consume some additional battery charge. No emergency calls are possible with the system. Google Voice does not support 911.